My April started with the Bologna Children’s Book Fair in Italy. This year was my third year to go to the fair. The fair is like a funfair for a children’s book bibliophile. I wrote a separate post about this year’s BCBF but here in this post I’d like to share three beautiful books I bought during my week in Italy. Every year I struggle to restrain myself from buying too many books at the BCBF as you see so many amazing books from all over the world and they are often not available in UK yet (or ever). There’s limit in my suitcase and how much I can carry so each year I give myself allowance of three books to buy but it never gets easier for someone so indecisive like me. 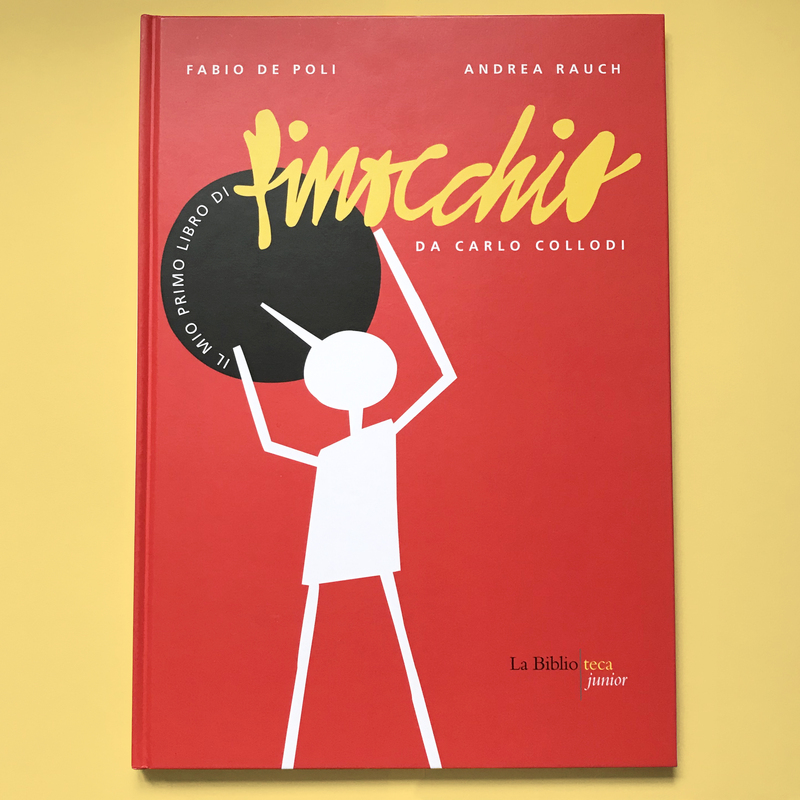 This year I instantly fell in love with this Italian book at Italian publisher Topipittori – La Bicicletta Gialla (The Yellow Bicycle) written by Matteo Pilliti and illustrated by Riccardo Guasco (Topipittori 2018). I don’t speak Italian but I bought it on the spot as I couldn’t wait for English edition to come out in the future. Bonus is you often get books at discounted price at the fair. The story is about a boy who has a passion for cycling and wants a yellow bicycle for this birthday. But his family is poor so the father, trying to fulfill his wish, builds a bike from scraps, but for Giovannino all that is old is ugly. However, the farther won’t stop working until an extraordinary vehicle leaves the garage. The story is told through poems. Love of children for two wheels – it’s timeless, in spite of the most modern technologies. Even with my limited ability to translate, I could detect beautiful qualities of the writing. The book reminded me of an old Italian film Bicycle Thieves (Vittorio De Sica 1948). But what stole my heart was the artwork by Riccardo Guasco. It’s so effectively simple and amazingly vibrant in red, blue and yellow and it has this modern yet nostalgic quality. This is totally up my street. I can’t wait to study it closer and get some inspiration. Every year my friends and I go to Zoo bar in Bologna. They host children’s book related exhibtions/events during the BCBF season. This year wasn’t exception. We went to see Vessela Nikolova‘s artwork from her books In Spiaggia (At the Beach) and Al Mercato (At the Market), both written by Susanna Mattiangeli. They were doing signing and I bought Al Mercato (Topipottori 2019) because I love markets. In this book, Grandma has to buy gloves for herself, a gift for Aunt Ada and something for her granddaughter too. Together, they rummage, discover, taste, listen and observe. This book is a brilliant observation of human beings that populate the market. Nikolova’s marker and colour pencil artwork has reportage quality that works perfect for the subject and story. The book is filled with colours, details and energy that I love about markets. After the BCBF, I went to Pisa to spend the rest of the week. While wondering through narrow cobbled streets, I found a small second hand book market and a big bright red book cover caught my eye. It was Pinocchio but it looked nothing like Pinocchio books I know. Il Mio Primo Libro di Pinocchio (My First Book of Pinocchio) written by Andrea Rauch and Illustrated by Fabio de Poli (La Biblioteca Junior 2006) is the first book to learn about Pinocchio and the characters in his story: Geppetto and the talking cricket, the Beautiful Little Girl with Turchini Hair, Mangiafuoco, Cat and Fox, the Green Fisherman. What made me to buy the book is the Matisse-like artwork by Fabio de Poli. It’s so bold, graphic and almost abstract. This is one special book for the well-known and loved story. It seems like every Italian city has at least one bookshop specialised in children’s book. Bologna has famous Libreria Giannino Stoppani. My airbnb host in Pisa told me there was a children’s bookshop in the neighbourhood. And when I took a day trip to Lucca, I found this children’s bookshop. Italian people must love children’s books. Aren’t Italian kids lucky?